The Kershaw Money Clip Knife is sure to turn heads because it is practical as well as good looking. The Kershaw 6400 Money Clip Knife has a knife, file, and handy pair of scissors. 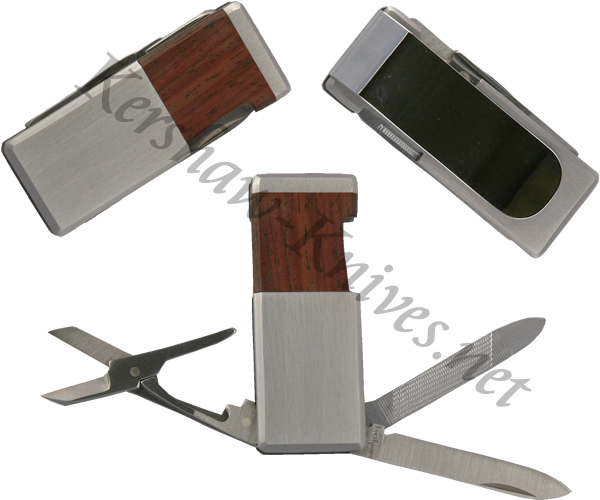 It has satin finished bolsters with a rosewood inlay, and the 1.625 inch blade and tools are made from AUS6A stainless-steel. The Kershaw Money Clip Knife is 2 inches closed and weighs 1.2 oz.